If you want to get more customers and grow your business, you need to consider adding Pinterest to your marketing arsenal. Piqora, a social media marketing firm specializing in Pinterest marketing, analyzed thousands of accounts and found that a pin generates an average of 78 cents in sales and that pins are 100x more viral than tweets. So what do businesses pin on Pinterest, anyway? 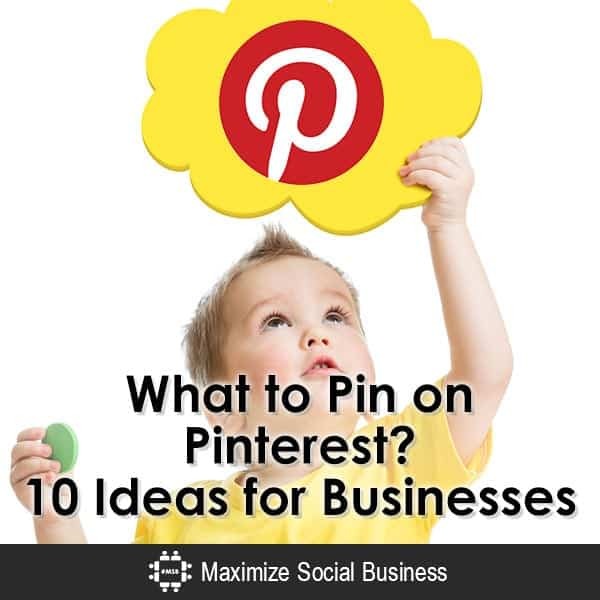 Here are 10 ideas of items for your business to pin on Pinterest. Did you know that more than 80% of all pins on Pinterest are re-pinned? When re-pinning, do so strategically. Find out what appeals to your audience. What do they want to learn more about? What moves them? What interests them? Find pins related to those topics and you will be a Pinterest hero. The goal for re-pinning should be to become a go-to resource and expert in your industry. 2) Pin your original content. While re-pinning is important to finding great content for your audience, you should not rely solely re-pinning. You want users to find out about your business, your products, and your services, so be consistently driving them to your website, your videos, and your blog posts for more information. Your fans love you; otherwise they wouldn’t follow you on Pinterest. They want to see original content. What new services, products, innovations and ideas can you show them that relate to your business? Regularly visit the http://www.pinterest.com/popular/ section of Pinterest to see what is resonating with users. If it is relevant to your business and your audience, then share it! 4) Pin each and every product you sell online. Make sure to add the price (e.g. $7.99) in the caption of your pin. Pinterest has a gift section on their home page and in order to be selected to you need to add a price. In addition, the culture of Pinterest is geared towards shopping and finding gifts, so pins with prices on them get 36% MORE likes! 5) Pin DIY and How To pins. Pins that show users how to do something are hugely popular on the site. Think about what your audience and your customers ask you and what they want to learn more about. Could you find a pin on that topic, or better yet, create one yourself? 6) Pin Before and After images. Show your customers using your products and share their success stories. How have lives changed as a result of your product? An improved house? A spiced-up love life? A more confident job seeker? Think about the solutions that you are providing to your customers and translate that into compelling visuals that can be pinned. Did you know that you can post videos right from Vimeo and YouTube? Videos can be taken with a smart phone and kept to about 15-20 seconds. Everyone can be a videographer with a smartphone! Playable GIFs are now viewable on Pinterest! According to the Pinterest blog, one million people per day see an animated GIF on Pinterest. GIFs are great for expressing something that a stationary photo cannot. GIFs are mainly used to entertain your audience and make them laugh. Get a sense of humor and share a GIF or two today! 9) Pin images with text overlay. These can include inspiring quotes or blog graphics that lead to an outside website. You can use your own images and inlay text over them, making sure that they link directly to your blog posts or website. To create your own, use Canva, PicMonkey or Quozio to easily overlay text onto images or create your own graphic designs. Take boring, dry data and make it visual! Infographics are exploding on all social networks, mainly thanks to their popularity on Pinterest. Infographics are a great way to build yourself up as an expert who shares great resources. Search Pinterest for “infographics” related to your business (e.g. “insurance infographic,” “social media infographic”) and pin away! To create your own infographics, use Infogr.am or Piktochart. This requires a little bit more work, but you are guaranteed ROI if it links back to your website and gets spread around on Pinterest. In conclusion, Pinterest is a powerful social network, but using it effectively takes time and effort. You can spend hours pinning other people’s stuff, but that won’t really get you the results that you want. With that said, it is also a very interactive community. 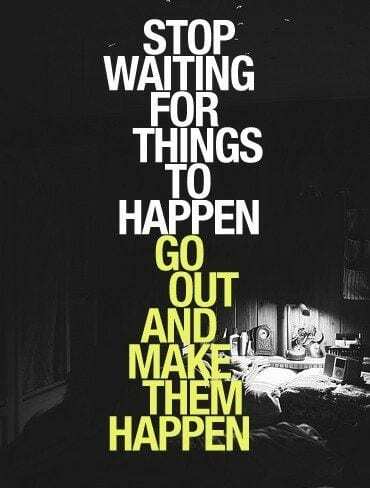 Share, re-pin, comment and like others’ pins. A balance of original content and re-pinning content from others’ websites and blogs is the key to success on the network. In the coming months, I will be blogging for Maximize Social Business on topics that include how businesses can get the most from Pinterest, how to create great pins, what types of boards to create, and how to get more traffic to your site using this innovative social networking tool. Julia Campbell is an expert on Pinterest. Julia helps nonprofits raise money and connect with supporters using websites, email marketing, social media and other online tools. A social media specialist, she is the Principal and Founder of J Campbell Social Marketing, a boutique digital marketing firm in Beverly, MA. Julia has been featured on MarketWatch, Alltop, Salon, Social Media Today, Forbes and Business 2 Community.